Embark on an unforgettable tented Serengeti safari with Safari365. Fly into the heart of the Serengeti National Park and view the incredible wildlife before exploring the well-known Mara River. The Serengeti is one of the most popular safari destinations in the world. It is home to a diverse and immense amount of wildlife which meanders across the sprawling savanna plains. It is also the location of one of nature's most spectacular events; the Great Migration. 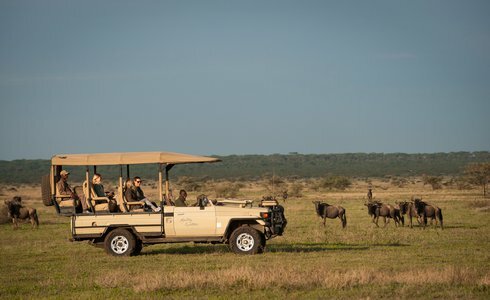 During your 6-day safari tour, experience the wonders of the Serengeti National Park with game viewing and game drives and enjoy being immersed in the ambience of Africa while staying in luxury tented camps. Travel to the Mara River - where the collosal wildebeest herds make their dangerous trip across the Mara's waters during the Great Migration- and witness the sheer natural beauty of the Serengeti wilderness. After arriving at Kilimanjaro Airport, you will be met by a travel representative before being transferred to Arusha. Enjoy a late dinner and stay overnight in the shadows of Mount Meru - Africa's 5th highest mountain. Enjoy an early breakfast before flying to the Serengeti National Park - possibly the best wildlife sanctuary in the world. Stretching across endless savannas, the iconic Serengeti landscapes are spectacular and waiting to be explored. On this Serengeti tour you will have game viewing drives twice a day which allow for a complete Serengeti experince. 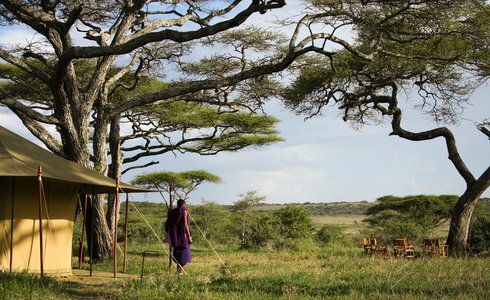 A luxuary tented camp will be chosen to best suit the time of year you are visting the Serenegti. In the early part of the year (December to March) the Southern Serengeti is perfectly situated to witness the calving of wildebeest. In the drier months (June to November) the camps in the Northern Serengeti offer prime viewing. 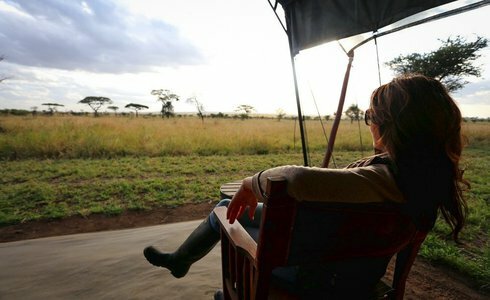 After breakfast you will be transfered to Seronera Airstrip for a short flight to the banks of the Mara River. The river is famous for the dramatic scenes of the wildebeest Great Migration crossing. 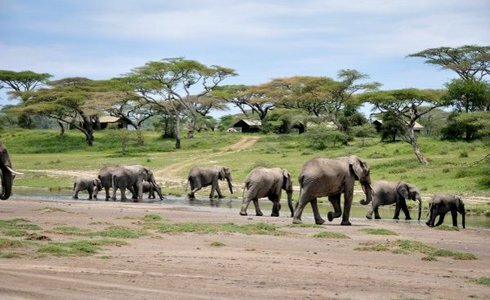 This tour of the Serengeti offers vast, pristine wilderness and fantastic numbers of elephant, cheetah and a resident pride of lions making for an incredible last two days of this unforgettable Serengeti safari experince. During the migration season, millions of wildebeest, zebra and eland arrive to share the fertile land with the permanent inhabitants. Today your Serengeti safari tour ends. Enjoy the last few hours of your time in the Serengeti before your transfer to Kogatende Airstrip for the flight back to Kilimanjaro Airport where you will continue with your onward travels.